Today’s contemporary interior design is characterized by clean lines and smooth surfaces without elaborate details. 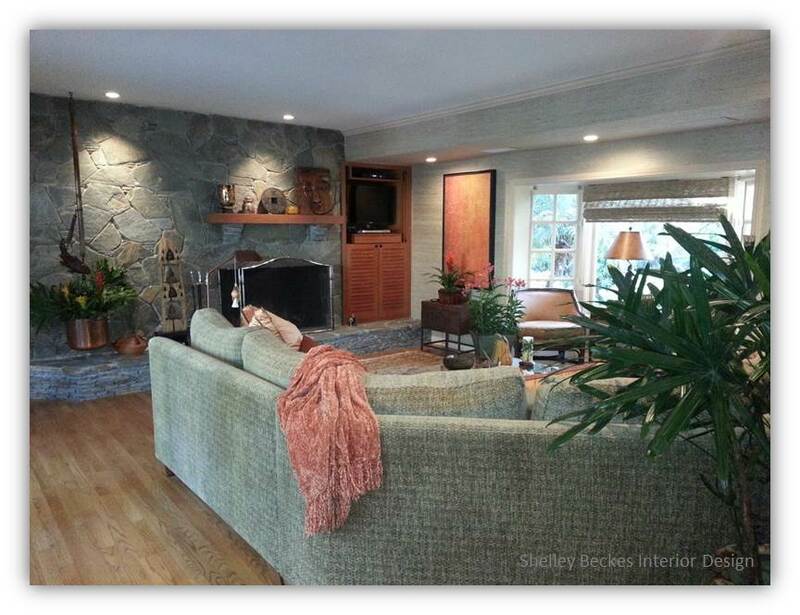 Contemporary interiors can still feel warm and inviting, unlike a lot of modern or minimalist style interiors. Today’s contemporary style combines comfortable and livable everyday elements to create a stylish and fresh look. Certain elements are essential to creating a balanced and beautiful design. Those elements are wood tone, color, texture, and metal accents. Wood tones that tend to be used most in contemporary spaces are very light or very dark in color and very smooth in texture. Neutral colors such as, shades of brown, white, cream or taupe, combined with punches of color characterize contemporary design style. Color can be added by painting a wall, a piece of furniture can be brightly upholstered, or vivid decorative accessories can be added. When choosing wall treatments and fabrics, stay away from complex patterns. Keep it simple. Fabric textures like silk, wool, linen, cotton and velvet are beautiful. If you choose to treat your walls, natural grasses can create a clean, contemporary look. Definitely accent with metal. Metal provides a clean, finished look. 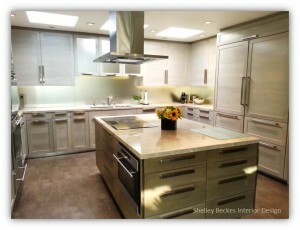 In the kitchen I remodeled pictured above, I strongly used elements of contemporary design. 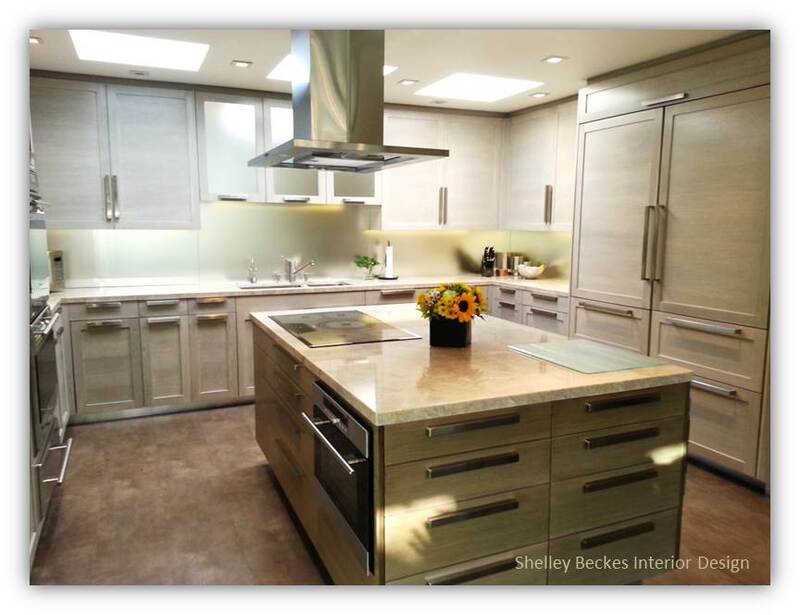 The drawer pulls and appliances are steel, the custom oak cabinetry was bleached and the quartz counter tops and island are a soft, neutral color. The kitchen is very smooth and clean in appearance. This living room I designed is a great example of contemporary design. The light colored wood floors, the beautiful soft green upholstered sectional and grass cloth wall covering are typical for this design style. The living room is comfortable, cozy and very appealing. Let’s not forget. A great contemporary design is not cluttered. Simplicity is key. Try not to over accessorize.